Get the most out of your HDTV by having the right connectors, wires, cables and cleaner! Buying these products seperately could cost well over $100, and Pyle is always known for high quality! Perfect for your new HDTV and home audio setup. 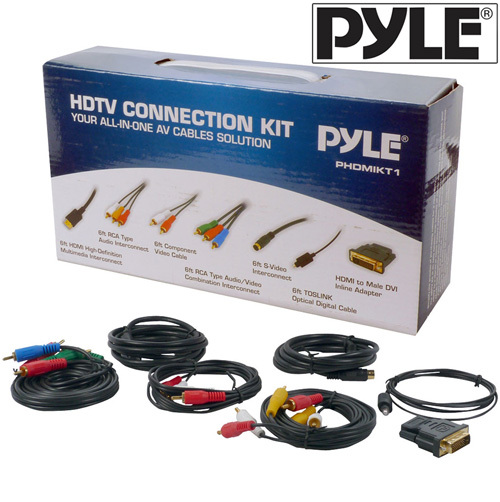 This package includes one HDMI to DVI adaptor, one S-video cable, one Toslink cable for optical digital audio, one HDMI cable, one stereo RCA audio cable, one component video cable, and one composite video cable. All cables are 6 ft. in length and are properly shielded for high quality video connections.